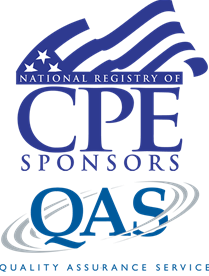 PDH Academy is registered with the National Association of State Boards of Accountancy (NASBA) as a sponsor of continuing professional education on the National Registry of CPE Sponsors. State boards of accountancy have final authority on the acceptance of individual courses for CPE credit. Complaints regarding registered sponsors may be submitted to the National Registry of CPE Sponsors through its website: www.learningmarket.org. How do our correspondence courses work? Does the ethics course count towards my state specific ethics requirement? Our “Professional Ethics for CPA’s” courses are applicable for CPA’s in states with non-state specific requirements. For states that have state specific ethics requirements, the course will count toward your elective hours, it just will NOT count towards your state specific ethics hours. To learn more about your state requirements, click here. It is your responsibility to report your continuing professional education (CPE) credits to your state board. If you state board requires documentation of your completed continuing education, you can send them a copy of your completion certificate. Do you report my results to the American Institute of Certified Public Accountants? No. You will attest during renewal that you have completed your continuing education hours. If audited, you will need to present them with your completion certificate. If needed, we can always resend your certificates. Do you offer any certified public accountant continuing education training that is not online or correspondence? We offer online and correspondence continuing education to renew your Certified Public Accountant license. We do not offer any classroom continuing education courses for CPA’s. We find that most students prefer to complete their continuing education online on their computer, smartphone, or tablet – or out of our course booklet. Yes, all students that complete our certified public accounting continuing education courses will receive a certificate of completion. We can either email, mail, or fax the certificate to you. Are your online CPA continuing education courses video? Are your online CPA continuing education courses audio? We do not have audio continuing education courses for Certified Public Accountants. If I purchase one of your online CPA continuing education course bundles, can I complete one of the courses now, and the rest next renewal period? Yes. Our CPA CPE courses can be completed over multiple license renewal periods. I have my CPA license in multiple states. If I purchase one of your CPA continuing education courses online will the continuing education hours only count for one state or multiple states? Because all of our CPA continuing education courses are approved by NASBA (National Association of State Boards of Accountancy) they can be used in any state for continuing education to renew your CPA license, including Texas. Our Sponsor ID in Texas is 010374. Do I need to be a licensed CPA to take one of your CPA continuing education courses? No. We have students from different backgrounds take our CPA CPE courses fairly regularly, so if you want to learn more about any of our accounting or auditing course topics feel free to enroll right online. I received one of your CPA continuing education books in the mail and would like to be removed from your mailing list. How can I accomplish that? If you received one of our continuing education booklets in the mail and would like to be removed from our mailing list feel free to send an email to support@pdhacademy.com and provide us with your name, address, and in what state(s) you are currently a license Certified Public Accountant. You sent me one of your CPA continuing education books in the mail and I already have my continuing education hours. Can I give the book to someone else? Yes. You can feel free to give our CPA continuing education book to a friend or colleague. After I complete my CPA continuing education courses, do I send my CPA license renewal application to you? No. You will send in your Certified Public Accountant license renewal application to your state licensing board. The CPA license renewal application should have an address on it telling you where to send it or where to renew online. Many state CPA licensing boards will allow CPA’s to renew online. What if I still have questions about completing my CPA continuing education courses?